BUMPED AND UPDATED: Joey Smith and I have now found at least four Democrat-friendly dealer groups, representing 40 (forty) Chrysler dealerships. These four groups will be left with 42 dealerships after the shuffling, while their in-market competition will be wiped out across the board. The odds of you losing net dealerships if you are a big Democrat contributor? Looks to be somewhere between slim and none. Taken at face value, it would appear that Democrat contributors and bigwigs were rewarded and their competitors punished. The drones liberals progressives are seething over the scandal we're calling Dealergate. They're whining hysterically at websites like Fred Silber's 435.com telling everyone within earshot that there's nothing to see here. Nothing at all. Just move along. "Hey, it's all statisticulus," they say, "and you wingnuts can't possibly figure out our vector arithmetic and such!" 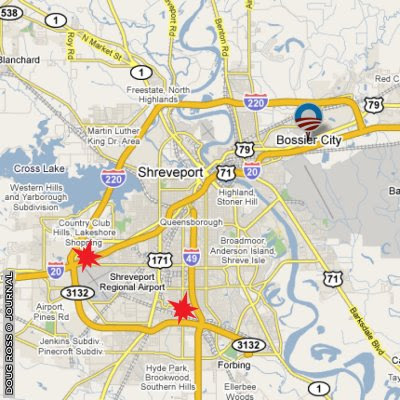 Item 1: Using the list of all 789 dealerships to be closed, WND found that owners contributed $450,000 to GOP presidential candidates; $7,970 to Sen. Hillary Clinton; $2,200 to John Edwards and $450 to Barack Obama. For the "progressives" out there, that's a 1000-to-1 ratio of GOP-to-Obama donations and a 42-to-1 ratio of GOP-to-Democrat donations for closed dealerships. Item 2: Dealership conglomerate RLJ is owned by Democrat bigwigs Mack McLarty and Robert Johnson. RLJ magically happened to keep all six (6) of their dealerships while its competitors were shuttered. McLarty is a former Clinton chief-of-staff and Robert Johnson (founder of BET) is a major Democrat fundraiser. These politically connected, powerful Democrat supporters were completely insulated from the closings in every market in which they compete. Item 3: Democratic donor Sidney Deboer is Chairman of Lithia Motors. He donated over $14,000 to Sen. Ron Wyden (D-OR) and Sen. Hillary Clinton (D-NY). Lithia Motors lost only two of its 29 dealerships while gaining as many as five additional ones in the resulting carnage. Deboer was also insulated from Chrysler's closings. 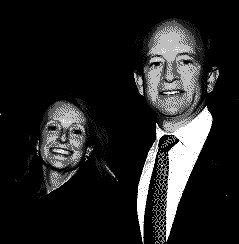 Item 4: White House car czar Steven Rattner is married to Maureen White, the former national finance chairman of the Democratic National Committee. And before Rattner became a major player on Wall Street, he was a New York Times reporter. Rattner is a key decision-maker on the Obama-slash-General-Motors-slash-Chrysler management team. And Rattner's wife would presumably be an expert on political fundraising and could, if so inclined, advise her husband on who to protect and who to punish. Item 5: Steven B. Fader contributed the individual maximum to Hillary Clinton for her 2008 campaign: $4,600. Fader is listed as owning four dealerships. Two of those dealerships are in Virginia Beach, VA: Hall Chrysler Jeep and Hall Dodge. In the Virginia Beach area, Fader's competitor Grafton Dodge (in Grafton, VA) was shuttered. Grafton is owned by L. A. Julien, Jr., who does not appear to have contributed to either party. Another Fader competitor, Tysinger Motor Company was also closed. Tysinger is owned by Mark Tysinger, who also does not appear to have contributed to either party. Fader's two dealerships in the same city remain open, while nearby competitors were shuttered. Another Fader dealership that remains open is Heritage Chrysler in Baltimore, MD. Nearby dealers that were closed include Antwerpen Dodge of Randallstown, MD owned by Jacob Antwerpen (no contributions founds); SKS Auto-Park of Baltimore; Bel-Air Dodge of Baltimore; and Schaefer & Strohminger Dodge Towson of Baltimore. The latter three are owned by Louis M. Schaefer, who has no contributions of any kind listed. Put simply, Fader's dealership remained whole while four area competitors were wiped out. The final Fader dealership is Motorworld Chrysler, in Wilkes Barre, PA. It remains open while nearby Pompey Dodge of Kingston, PA and Ertley Chrysler Jeep Dodge of Moosic, PA were both closed. Charles W. Pompey and Ronald D. Ertley are the owners, respectively, and neither contributed to any candidates in 2006 or 2008. Much of Fader's competition in this area was also wiped out. Simao, it turns out, is a major Democrat contributor. In the last election alone, Simao sent the maximum contribution ($4,600) to Hillary Clinton's campaign. Watertown Daily Times: HSBC: dealer owes $10.2m: Lender says DealMaker Auto Group defaulted on loans, notes from 2006... A commercial lender is seeking a $10.2 million judgment against DealMaker Auto Group, claiming that the car dealership defaulted on a series of loans and notes provided in 2006. Trading Markets: GMAC suit seeks DealMaker assets: The company that provides financing for vehicle inventory at DealMaker LLC's Seaway Chevrolet has begun action in state Supreme Court to take control of the business's assets after claiming it defaulted on a financing agreement. General Motors Acceptance Corp., Cranberry Township, Pa., filed its suit Wednesday at the Jefferson County Clerk's office against DealMaker, seeking a judgment of nearly $2.4 million. It claims, among other things, the Theresa dealership violated its wholesale floor-plan financing agreement. 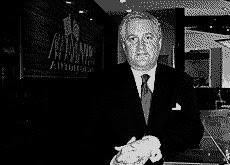 So another dealer, who appears to be enmeshed in a wide variety of legal and financial disputes, happens to keep his dealership while coincidentally contributing the individual maximum to a Democrat presidential candidate in 2008. Item 7: Now, and this is important, Chrysler claimed that its formula for determining whether a dealership should close or not included "sales volume, customer service scores, local market share and average household income in the immediate area." To summarize: despite the claim that each dealership was evaluated at the individual market level, at least four major, connected Democrat contributors will end up with more dealerships in the aggregate than when they started. These four Democrat dealer groups own 40 Chrysler dealerships. One of those owners is already in all sorts of legal and financial hot water with suppliers and customers. He's not exactly a candidate most screening processes would keep. Yet they will likely end up with 42 dealerships after the shuffling (maybe more). And their competition is gutted in every single market! Strange! And, oddly enough, the Car Czar's wife is a former Democrat fundraiser... not just an Obama fundraiser. She knows exactly who to cultivate, you might say. Geez, what are the odds of that happening in forty different locations? Paging Nate Gold... Nate Gold, over at 531.com: can you explain that data? It's soooo quiet. Oh, are those crickets chirping? And... check it out! Is that a bindle of tumbleweed rolling by? Update: Oops! Please -- no one tell Nate Copper that two Senators (one from each party) is asking for an investigation. We wouldn't want to burst the delicate bubble that is his worldview. Update Part Deux: Gateway Pundit has more dirt on DealMaker. Also, Josh Painter has an excellent overview of the situation. And Protein Wisdom, Paul Ibrahim, NewsBusters and Babalublog have more hope and change. Hello friend amazing and very interesting blog about Dealergate: 40 Democrat-friendly Dealerships Become 42 After The Dust Settles; Their Competition Gutted As Well I really enjoyed reading this blog and I would like to have any update about it, thanks for sharing! !